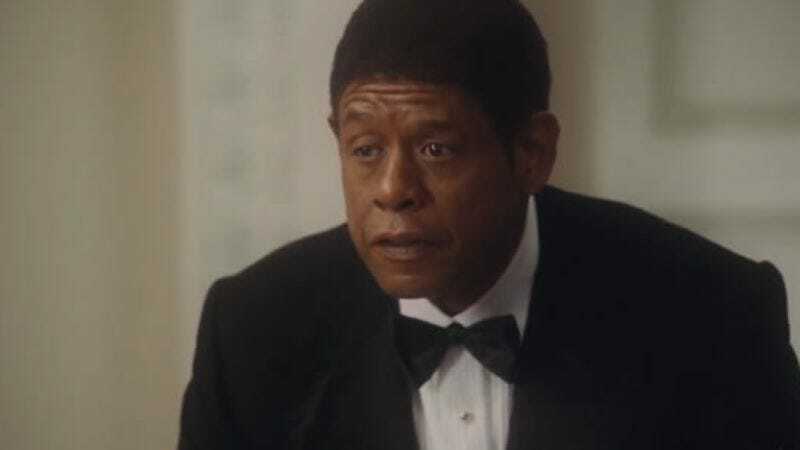 Completely negating the film’s message about inclusiveness and giving Oprah whatever she wants, Lee Daniels’ The Butler has been forced to pick a new name, after Warner Bros. successfully asserted that it owns the rights to the title because of a short it released in 1916. The decision was handed down through arbitration between The Weinstein Company and Warners, who complained to the MPAA’s Title Registration Bureau that the Weinsteins had not cleared use of The Butler with them first, and successfully argued that it could create confusion among fans of their classic comedy—fans who have so much on their minds as is, what with Wilson beginning conscription for the Great War and the growing threat of damnable Bolsheviks. For its part, TWC has rejected the notion there could be any confusion between Warners’ silent short—in which Davy Don plays a servant who’s forced to prepare dinner while the rest of the house staff goes on strike, putting him in a frightfully humorous quandary—and its film where Forest Whitaker learns about racism while John Cusack does his Richard Nixon impression, even though both are poignant allegories. “The suggestion that there is a danger of confusion between TWC’s 2013 feature movie and a 1917 short that has not been shown in theaters, television, DVDs, or in any other way for almost a century makes no sense,” the company’s lawyer, David Boies, said in a statement. Boies announced the Weinsteins’ intent to appeal the decision and possibly even sue Warner Bros. for a move he says “has no purpose except to restrict competition,” with a craven Warners obviously fearing Davy Don could be usurped as America's most beloved butler. In the meantime, as you'd expect, the Internet has responded by suggesting scores of new Butler titles on the web and on Twitter, so you’ll have to come up with something besides Based On The Novel By…. riffs and The Help and All The Presidents’ Man jokes. Something like White House Downstairs. Or The American President’s Butler. Or Butling Miss Reagan. Or Do The Butler Thing. Or Stand And Deliver Breakfast To Dwight Eisenhower, Who's Being Played By Robin Williams For Some Reason. Or The Butler: The Search For Curly’s Gold, Which Is Really Equality. And so on.